If you want an unhurried, quiet stay, if you don't want more than to sit poolside or on the beach with a good book, and if you can do without much nightlife of fancy, varied restaurants or large supermarkets, then the British Virgin Islands may be for you! Tortola, just a few miles east of St. Thomas, is a much slower-paced island offering lovely, uncrowded beaches and unparalleled sailing, diving and other watersports. 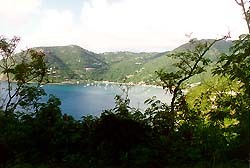 Tortola is easily reached via a 45 minute ferry ride from St. Thomas, or by plane from Puerto Rico or St. Thomas to Tortola's airport on Beef Island. Everyone in the British Virgin Islands speaks English, of course, and currency is U.S. dollar. U.S. citizens must produce a passport or certified of notarized birth certificate to enter the British Virgin Islands. Virgin Gorda is the idyllic beach retreat for many island connoisseurs. 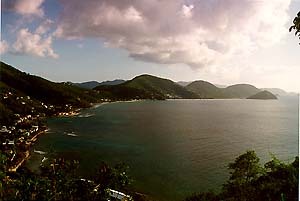 Less developed and slower-paced than Tortola, Virgin Gorda has a mountainous, dry terrain dotted with cactus. Spectacular white sand beaches are edged by a turquoise sea and wondrous coral reefs for snorkeling and diving. Especially memorable are The Baths, where immense boulders are scattered along stunning beaches, creating magical grottos and a truly exotic landscape. The folks in the British Virgin Islands are welcoming and friendly. For ultimate privacy and total relaxation, stay in one of our beautiful villas on Tortola or Virgin Gorda. It's the BVI, the yacht charter capital of the Caribbean. We represent BVI Yacht Charters, a small but very professional charter company. You can learn how to sail as well, BVI Yacht Charters is a certified ASA facility. They will make sure that this will be the greatest vacation you ever had. Since short they have power boats as well. 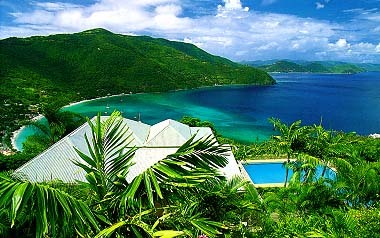 of our beautiful villas on Tortola or Virgin Gorda.